Book Week 2018 is all about celebrating and treasuring books and children’s literature – and libraries are the perfect place to help you do that. Bursting with a range of themed, interactive activities, competitions, and costume ideas, public and school libraries around Australia help make Book Week such a fun and inspirational time of the year for children. 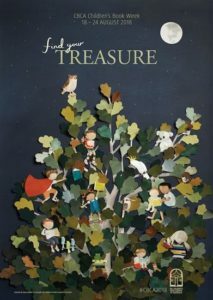 This year’s theme is Find Your Treasure. Each year, a shortlist of the year’s best books is sent out for librarians to promote and use in their displays and programming to entice children of all ages into reading. Children take away lasting memories about their favourite books which they carry with them into adulthood. The books they read as children become a part of them in a way that no other book they might read later in life does, so it’s incredibly important. Librarian Bec is here to offer up a range of amazing activities, competitions and costume ideas libraries are offering to help encourage your little readers to pick up books – and never put them down again. Encourage children to design and create their own treasure maps – they can be based on their favourite books or contain various bookish treasure. Anything that gets their imaginations flowing! This activity can be done in two ways. First, ask children about the book they’d want with them if they were stranded on a desert island. Get them to draw a scene from that book inside a bottle template. The second way is to encourage children to design a ship inside a bottle that could transport them to the world of their favourite book. The Children’s Book Council of Australia offers handy options for activities and costumes that will inspire children to take up reading. One of the best ones this year is a mini book template, where children can design their very own book. Children can fill these pages with their own story, or they can re-imagine one of their treasured favourites. Scavenger hunts encourage children to use their imaginations and problem-solving skills to find clues and prizes around libraries or classrooms, or even outside. Designing a scavenger hunt around the Find Your Treasure theme is easy, with so many pirate and treasure-related books available in the market currently. You can choose to take the theme literally, or think about the kinds of things kids treasure, and use that to your advantage. 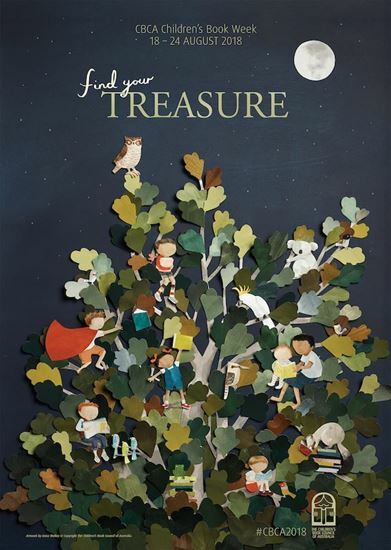 Offer prizes for the children who discover all the treasure and include a story time session. The kids will be enraptured. May Gibbs has come up with some fantastic costume ideas for this year’s Book Week. If none of those inspire children to get reading, Librarian Bec recommends trying a simple pirate, sailor or adventurer costume. Pirates have been a staple of children’s literature for centuries. From Peter Pan’s Captain Hook, to Treasure Island’s Long John Silver, pirates have always captivated kids. Check out this fabulous list of some of the best children’s books in recent times for more costuming inspiration! If pirates, sailors or adventurers aren’t what the kids are looking for, try to think a little outside the box. 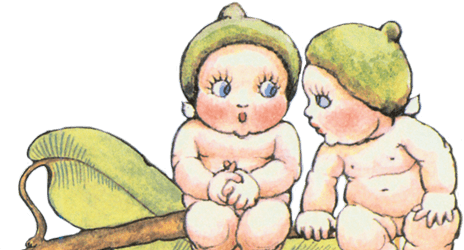 There are so many children’s book characters searching for treasure. Ariel from the Little Mermaid loves collecting items lost by humans at sea. The BFG loves finding and collecting dreams. Harriet the Spy collecs observations about people to help her future career as a writer. Dorothy from the Wizard of Oz collects friends as she tries to find her way home. Be as creative as you like! Asking children to think about a book character they love and treasure above all others will provide the best costume. Most children have a favourite book, and dressing as their favourite book character will only add to the fun they have in this year’s Book Week. Once the children have created their costumes, it’s time to have a character parade! Children will love showing off their costumes to their friends, their families and even children from other classes. Encouraging them to talk about their costumes and why they chose to dress as those characters encourages them to think about the books they read and to read more! For more brilliant ideas to get kids engaged with reading and Book Week 2018, check out May Gibb’s fabulous articles!